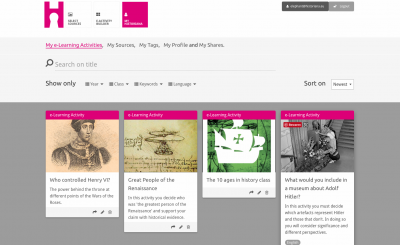 Together with Euroclio and other European partners we are working on the development of a digital learning environment that enables history educators to build, share and adapt their own online learning activities in the language of their choice, making use of historical sources, uploaded by themselves, or downloaded from the digital collections of museums, archives and libraries across Europe. 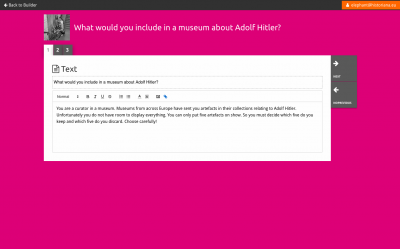 The service will be free for everyone to use, and specifically designed to meet the needs of history educators, which means that we have a strong focus on helping student think critically and historically. 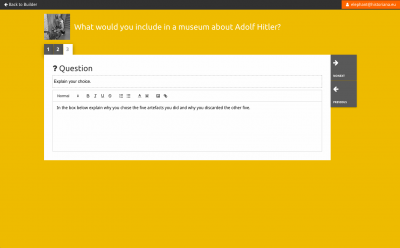 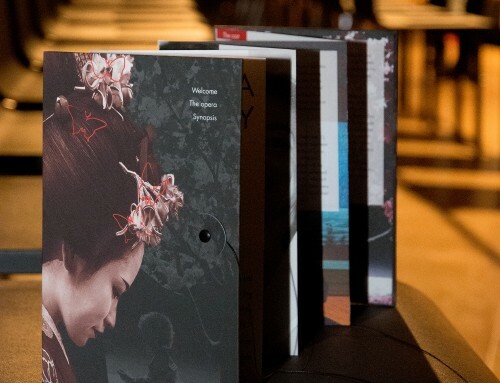 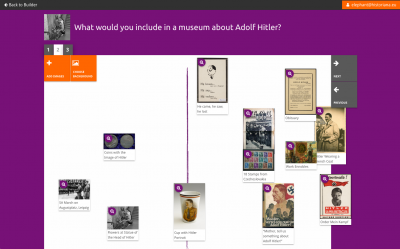 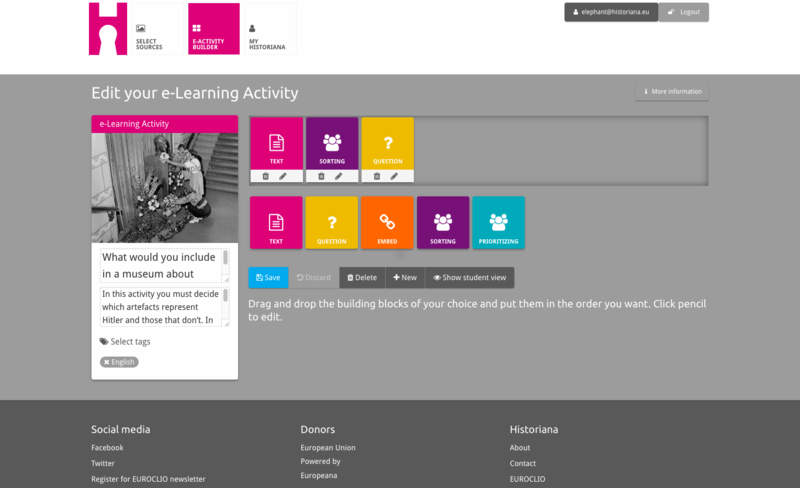 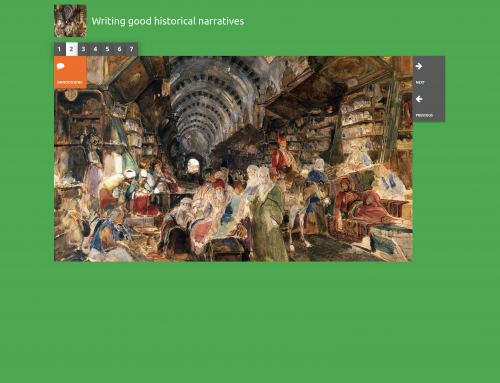 The first version of the interactive part of this online learning environment, the ACTIVITY BUILDER, is available in beta, and in the coming years we plan to develop this service further in a fully functioning platform, where publishers of educational resources, cultural heritage institutes and of course, the educators and students themselves can work together.